Although it doesn't seem like it, summer will return to Canada again. When it does, we want to be prepared! One of the most popular meeting points in a house for family and friends is without a doubt – the grill. There is nothing like relaxing on the terrace during the hot summer days, gathered around the fire while some delicious meat sizzles away. There is always an excuse to fire up the grill and spend time with loved ones in the fresh air. 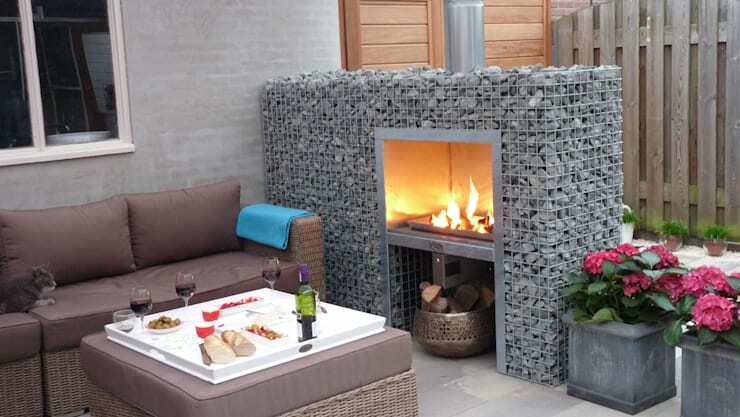 Today on homify, we are injecting a bit of heat into winter with 9 barbecue designs. We hope they are inspiration for a summer renovation project. 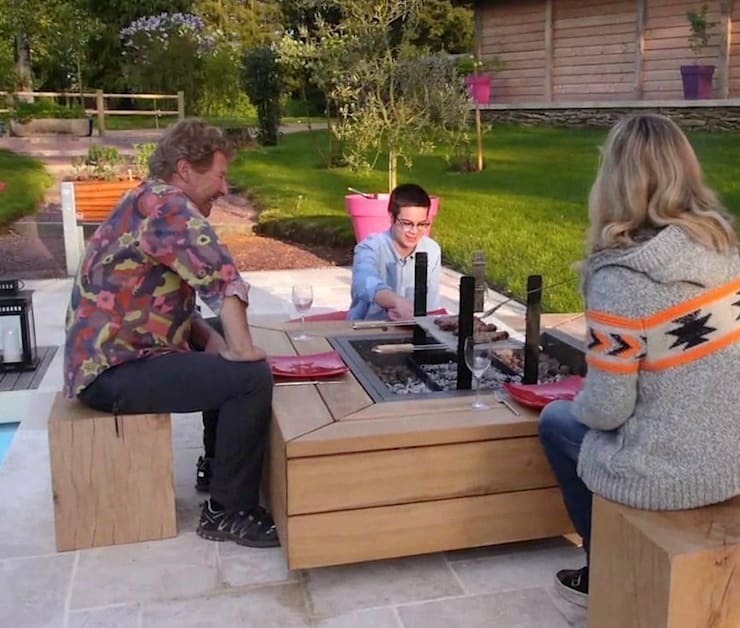 These designers have created a whole outdoor area for the barbeque. A basic pergola frames and covers the area, where we find everything that we need for a unique outdoor experience. There are tables, seats, a giant bar to liven up the mood and of course, the barbeque. Designed in stone and iron, this space is modern and savvy. It has everything that you need to enjoy warm afternoons. In this first example, by design professionals Barbecue, we can see how the barbeque has become the protagonist of the terrace. 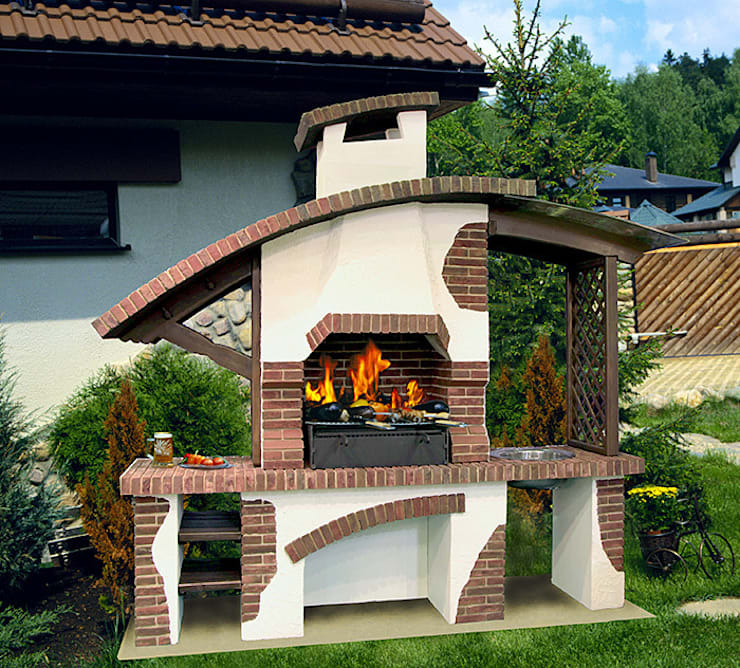 With curved lines and a brick facade, this barbeque has everything that you need to cook an excellent meal. The rustic meets country look and feel is very appealing! Here we come across another rustic barbeque, which even features a rotisserie. This is the focal point of the terrace. Made from brick, it even features space to store logs. This grill is the dream of any outdoor kitchen lover. While we've mostly been exploring brick grills, here we come across a pleasant, excellent and elegant alternative: stone. This natural material is equal or even more resistant than brick. It is a very elegant solution, giving texture and tone to the terrace. This design unifies three materials: stone, brick and steel. A simple concept with a wrought-iron cover creates a very unique look and feel. 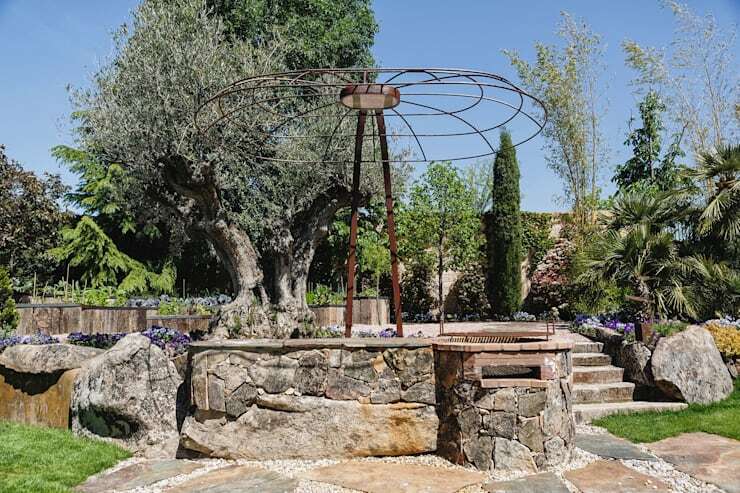 The barbeque rests below it along with a bar for preparing food. It almost looks like a sculpture where the barbeque is the protagonist of the terrace. 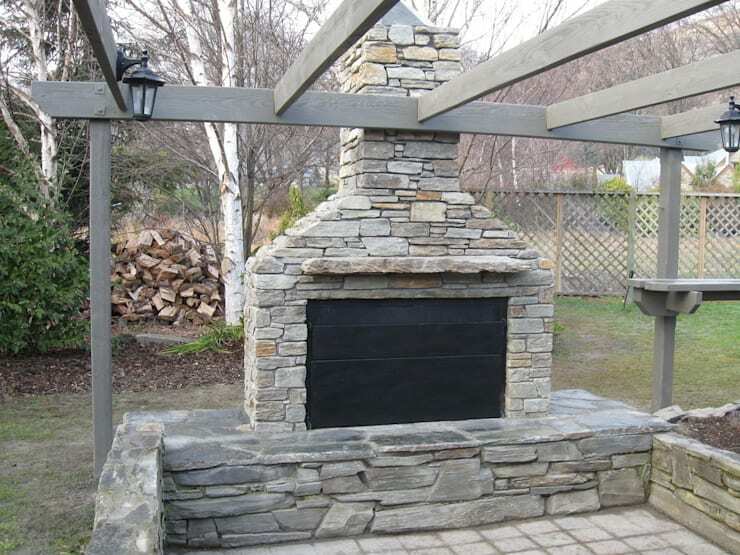 Here we can see how many ways stone can be used for a barbeque design. It features simple and clean lines as well as a simple shape.This very contemporary grill can even be built and created as a DIY home project! It also adds a very original and elegant touch to a terrace in a way that is minimalist and sleek. 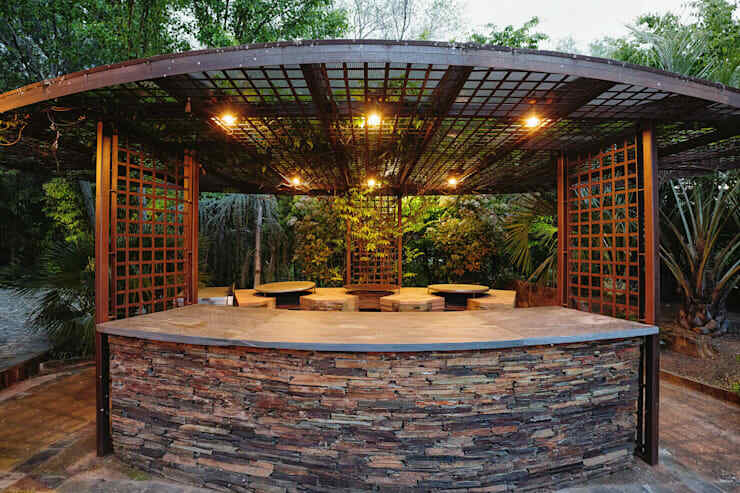 Another way to create a focal point that family and friends can gather around is to have a barbeque in the centre of the terrace, like in this image. It creates a unique center point. Couldn't you imagine relaxing around the warmth of the flames while cooking up some delicious meals? It also allows all family and friends to participate in the cooking process. As we have seen, there is an infinite number of possibilities when it comes to the design and functionality of the grill. 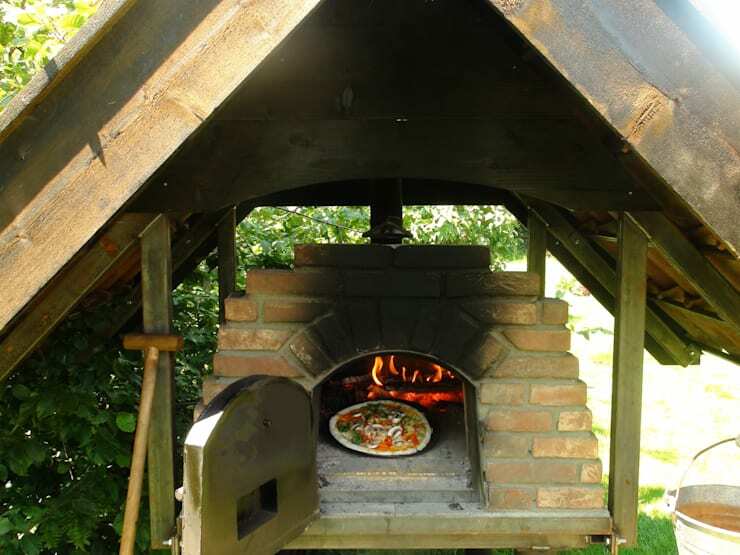 But there is one more, which is becoming more popular in recent years: the wood-fired oven. 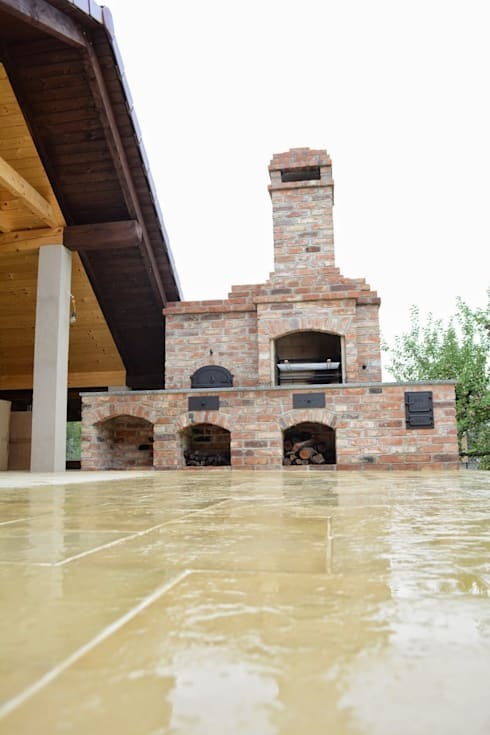 The wood-fired oven complements all design and decor elements and you can cook just about anything on it. Imagine having freshly made pizza in the comfort of the home with a delicious wood-cooked taste! 9. Originality to the max! 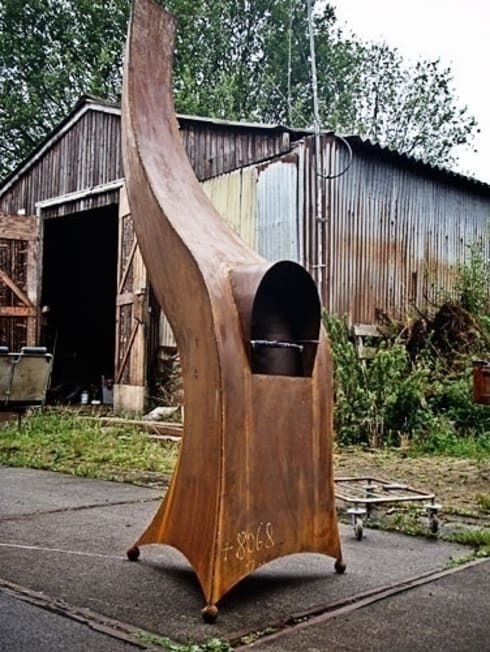 This sculpture features a steel plate, where food can be cooked. This is innovation and creativity at its best. It gives us a break from the traditional notion of a grill. It's also a great talking point when friends and family's visit your garden! If you've enjoyed these grills, you'll love these 7 clever and cool ideas for outdoor kitchens. Which is your favorite grill?